At Talk of the Town, we have come to a stage where our ambitions are starting to encounter the spectre of financial viability. Most people will know now that we are totally opposed to the ‘click-bait’ culture and ‘churnalism’ environment that has plagued modern journalism, particularly football journalism as well. However, if we are to keep bringing you high-quality content and consistent coverage for the future, this is an option we are forced to take. We have decided to set up a Patreon page, a crowdfunding platform where donations can be given that will help us sustain ourselves. We have seen the benefits of civic crowdfunding and how it can drive innovative and bold solutions that can satisfy people’s desires but also plug the gap that might otherwise have been lost without funding. We have already seen the likes of Shrewsbury Town raise money for a safe-standing section through crowdfunding and Stevenage crowdfund an entire stand by their fans. Former Chelsea player and manager Gianluca Vialli has said crowdfunding will become the norm in 10 years and we hope to get ahead of the curve in securing TOTT’s future and ensuring you never go without content. 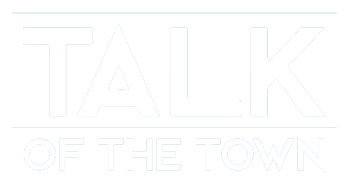 We have exciting plans for the next stage of Talk of the Town but we can only do it with your help. By donating to us whatever you can afford, we can ensure that the website is not only financially self-sustainable but also develop scope to add new features, capacity and fresh ideas that will add impetus to the way we provide you with content. We know that the Huddersfield Town family is an inclusive and supportive one so we know that you will understand our situation and help take us to the next stage of our development. Rest assured we are always striving to better ourselves and what we deliver to you. If you would be interested in supporting us and providing us with a platform to broaden our content, here’s a link to our Patreon page.